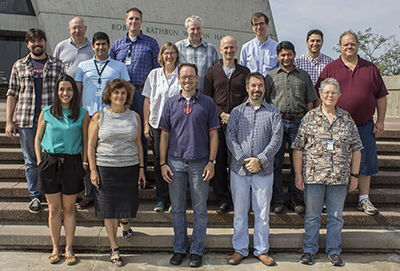 FabrIc for Frontier Experiments (FIFE) provides collaborative scientific data processing solutions for Intensity Frontier experiments. FIFE takes the collective experience from current and past experiments to provide options for designing offline computing for experiments. FIFE is modular, so experiments can take what they need and new tools from outside communities can be incorporated as they develop. FIFE is based on common toolsets wherever possible to increase flexibility, provide for efficient evolution, and reduce the maintenance load. Database and dataset applications such as beam monitoring, conditions and hardware. Collaborative tools such as an electronic control room logbook and shift scheduler. For more information about FIFE, see this page.